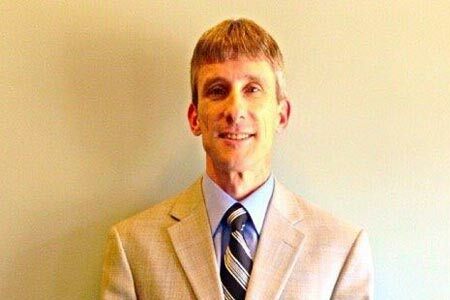 The Edgefield County School District has announced that current Chief Financial Officer for the school district, David Fallaw, has been appointed to serve as assistant superintendent effective July 1, 2015. Mr. Fallaw will take the place of Donna Strom who notified the school board of her desire to retire at the end of this fiscal year. The unanimous decision was made at the last regular school board meeting Tuesday night. Superintendent Greg Anderson made this recommendation to the school board and informed the members that all normal hiring practices were followed in making his recommendation. Anderson stated that the job of providing a recommendation for this position was assigned to Human Resource Director Dr. Cherya Clark. The position was first posted and then applicants were interviewed by a nine member panel who had been assembled by Dr. Clark. Each candidate for the position was asked a series of questions previously formulated by Dr. Clark. The answers given by the candidates were then scored by each panel member and then the scores were added up to see who received the highest score. Dr. Clark then presented the entire hiring process packet to Superintendent Anderson who reviewed the entire process for fairness and professionalism. “I also want to congratulate Mr. Fallaw” Anderson continued. “I have had the opportunity to work with him first hand for two and a half years and can say without reservation that he is an amazing person in so many ways he brings a wealth of experience having formally been a classroom teacher, building level administrator as assistant principal and then his recent role of chief financial officer for the entire school district. This background will allow Mr. Fallaw to relate to all of our employees and gives him a strong understanding of all areas of education. He will continue with our philosophy of putting students first at all times and work toward our goal of providing a positive and professional atmosphere for our employees. His reputation for truth and honesty is well known by all who know him as he is equipped with a good moral compass. Since becoming superintendent, I have had the opportunity to work with him and have also found him to be a leader and a visionary. Most importantly, Mr. Fallaw has a genuine concern for our students and goes the extra mile to make sure they are receiving the best education possible. Specifically, Mr. Fallaw has been working for fourteen years for the Edgefield County School District. During this time, Mr. Fallaw has served as a teacher, assistant principal and then his current position of chief financial officer. Mr. Fallaw has a Bachelor of Science in Business Administration with a Finance Concentration. He also holds degrees in Bachelor of Arts in Secondary Administration as well as Master of Education in Administration and Supervision. His areas of certification include middle level social studies, Elementary and Secondary Principal, Elementary and Secondary Supervisor. In the Spring of 2006, Mr. Fallaw was name of fourteen worldwide “Emerging Educational Leaders” by the Association of Supervision and Curriculum Development. He also is a two time winner of the teacher of the year award when he was a teacher at Merriwether Middle School. The search for a new chief financial officer to replace Mr. Fallaw will begin immediately.